It’s easy to create a new world. All you have to do is say “What if…” and let your imagination run wild. What isn’t easy is creating one that feels like a reality, like a place where that “what if” has been free to run wild and touch anything and everything in some way. 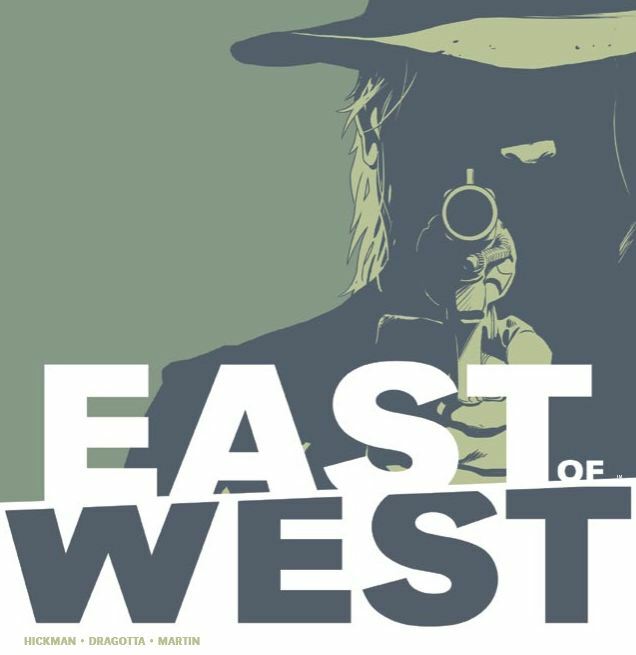 Jonathan Hickman’s new series, East of West, does an amazing job of world-building and creating an incredibly deep alternate history while delivering an amazing amount of plot in just a single issue. Like most great alternate history stories, it takes a fixed point in time, alters it, and lets it ferment a bit to see where it goes. That fixed point is marked by the coming of a comet and the abrupt end of official hostilities between Native Americans and union soldiers. What follows is a world apparently without an American superpower and a robust Native American state. Things feel very wild West, even when the story jumps to the “present” of 2064, the year a trio of prophecies known as The Message foretell the end of the world. So much is going on in this book, every page is dense with something that exudes pages and pages of implied history and lore. It’s unclear yet what is alien, what is mutation, what is some perversion of technology, and what is magic. Somehow, it all feels organic. 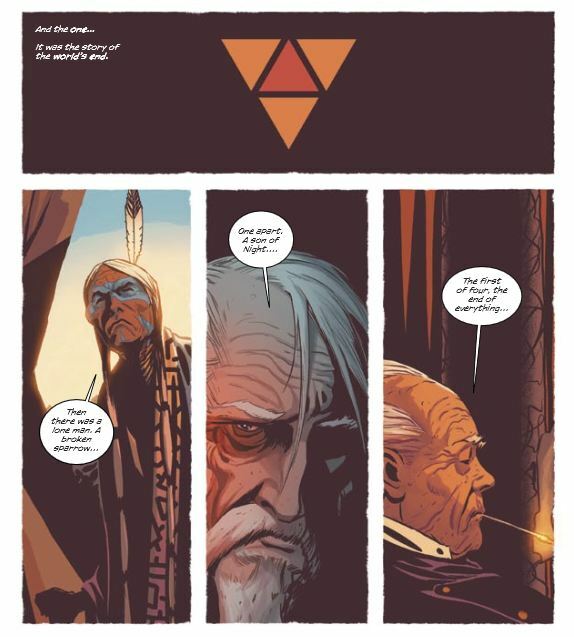 Nick Dragotta’s designs bring everything to life and keep the story – which bounces between union soldiers, Native American tribes, magical murder children, sci-fi saloons, and the White House – feeling like one cohesive experience. More than that, every page uses clearly well-thought out color palettes and visual design to make each page feel incredibly solid. With all the chaos that this book jumps right into, nothing is explained and nothing needs to be explained. The concepts are familiar: cowboys, indians, and revenge; but they’re thrown together in a new way that is both comfortable and deeply intriguing. You can spend a long time just looking over any panel and extrapolating meaning from each little accent in the scene, mentally tracing it back all the way to that fixed point in time where this reality was spawned from ours. This is a book where everything is significant, which is wonderfully engaging. East of West is one to keep an eye on, as it’s got the potential to tell a story with incredible depth. B&N Week 151: Are You Building Your Worlds Correctly?